Michael Haderlie, Ph.D. joined Giles & Associates Family Psychology in 2011. He earned a Master’s degree in clinical psychology at Pacific University (Portland, OR) and his Ph.D. in clinical psychology from the University of Nevada, Las Vegas. 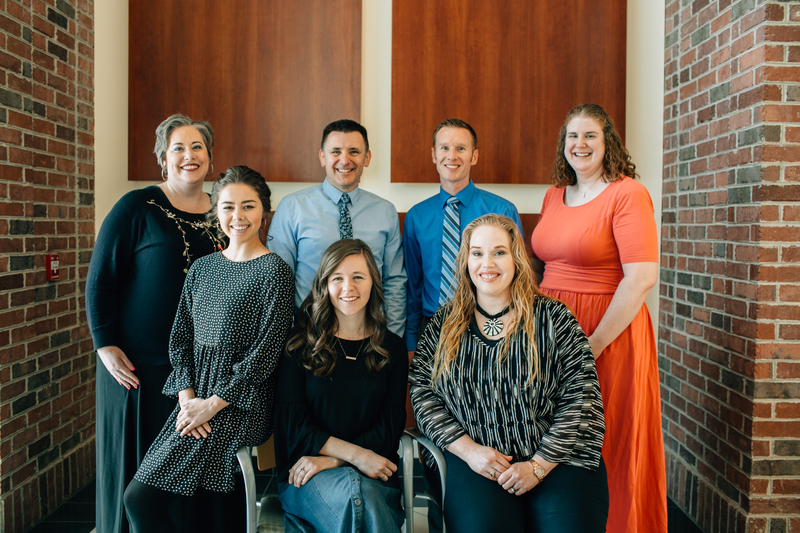 Dr. Haderlie completed a one-year clinical internship at the University of Kansas student counseling center. Dr. Haderlie works with adults, adolescents, couples, and children. He has specialized training in anxiety disorders (including OCD, social anxiety, trauma, panic, and generalized anxiety) and has additionally worked with clients experiencing a wide variety of concerns such as depression, relationship difficulties, chronic pain, and eating disorders. Dr. Haderlie has a passion for the field of psychology and has taught courses at several universities including at Utah Valley University as an adjunct instructor. He strives to keep informed of psychological research and to incorporate evidence-based approaches in order to best serve his clients. 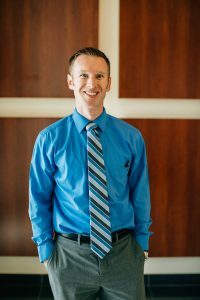 Dr. Haderlie was raised in Orem and graduated from BYU before attending graduate school in Oregon and Nevada. He currently lives in Lindon with his wife and three children. Dr. Haderlie enjoys sports and the outdoors and takes any opportunity to get out hiking, camping, or disc golfing with his family. 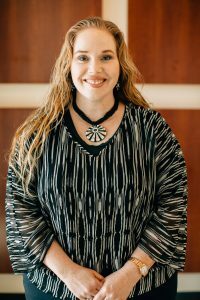 Mindy Pearson recently completed her graduate degree in Counseling Psychology at Brigham Young University and has been practicing since 2010. She joined Giles and Associates in 2015 after working at a variety of sites, including college counseling centers and community mental health clinics. Mindy sees clients with various presenting concerns including depression, bipolar disorder, anxiety/OCD/panic disorders, posttraumatic stress and trauma, marital/relationship conflict, and sexual compulsions/addictions. She also conducts psychological and ADHD evaluations and is currently working toward competency in conducting psychosexual evaluations as well. Mindy’s approach to therapy is humanistic and draws from Emotion Focused Therapy, Cognitive Behavioral Therapy, mindful self-compassion approaches, and existential thought to guide her practice. She has completed basic training in Eye Movement Desensitization and Reprocessing Therapy (EMDR) and also has experience practicing from an Internal Family Systems Model with clients who have undergone severe trauma in their past. She enjoys helping clients increase their self-awareness, clarify their values, relate more authentically to self and others, embrace and celebrate their personal strengths, and identify ways to live more meaningfully. She and her husband have three children. In her spare time, Mindy enjoys reading, taking walks or hiking in nature, watching movies, and spending time with family and friends. Jessica Kirchhoefer has been seeing clients for several years in multiple settings including community mental health, college counseling, and private practice as part of her PhD program. She joined Giles and Associates as an intern in 2018. Jessica sees clients with various presenting concerns including anxiety, depression, eating disorders, posttraumatic stress and trauma, relational/sexual concerns, impulse disorders, and LGBT concerns. Her therapeutic approach incorporates ACT, CBT, and multicultural therapies. 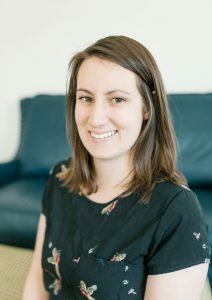 Jessica’s research within the field includes areas of multicultural considerations in therapy, outcome measures, group therapy, and meteorological influences on mental health. Her work has been presented internationally, been published in multiple journals, and received expansive media attention from TIME magazine to The Huffington Post. Jessica and her spouse have one child. She enjoys going on walks, cooking, eating good food, and reading.